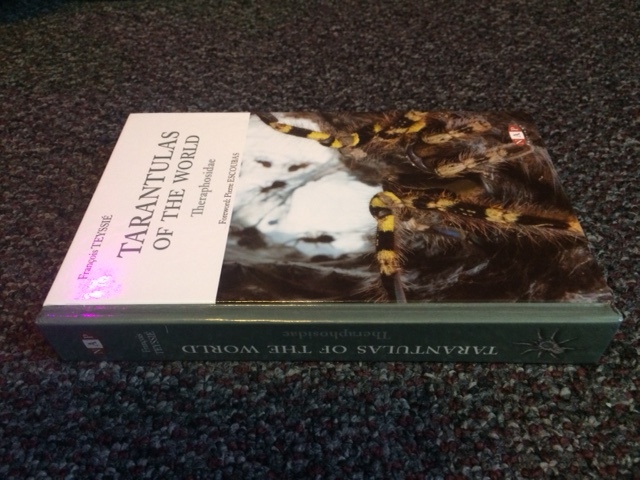 The book clocks in at just under five hundred pages, with almost half of it covering almost 300 species of tarantulas in full color. Each entry features a species description which includes size, coloration and markings. Then it goes into lifestyle, telling you whether the species is terrestrial, arboreal or burrowing. From there it goes into what kind of habitat it comes from and then distribution. 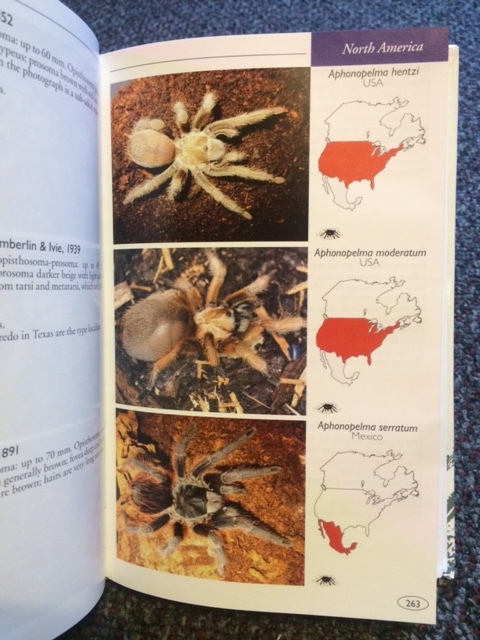 A full color, full body shot of all species are also provided as well as a distribution map. The pictures are amazing and I really wish this book was slightly larger than its 5″ x 8″ size so that you could really appreciate them more. The first half of the book goes into great detail on things like classification and anatomy. A list is included detailing egg sacs of many species saying how many eggs are usually inside. Also included is information on keeping and breeding species. This is definitely a labor of love and the author should be commended for his efforts. Unfortunately nothing is perfect and there are flaws with this book, though they are minor. Many people may complain that the $95 price tag is steep but I found it to be worth it. One thing that does worry me though is the binding of this book. When I pay that much money for something I want it to last and stand up to a lot of use. The binding of this book reminds me a lot of the binding you used to get on the old T.F.H. pet guides here in the United States. The glue that they used would eventually become brittle and the binding would separate. I am not saying that this is going to happen with this book but I am concerned. Like with the “Scorpions of the World” book, the name of the book on the spine is upside down. Again, this may just be how things are done in Europe and it is a minor flaw but I do find it disappointing. Next is with the distribution maps. When species are said to come from the United States the entire country is highlighted and not just the area it is from. This would be less of a concern if in the distribution text it said which states specifically but it doesn’t. It just says USA. This is major flaw and a little extra effort would have corrected this issue. Lastly, and perhaps the biggest problem with this book, is distribution. You just cannot find copies. Amazon does not sell them and I ended up getting my copy on eBay from a seller in Africa! Your only real option besides eBay is to buy direct from NAP, which you can by clicking HERE! Don’t let the issues of this book dissuade you in any way. It is a phenomenal work and one that should be more readily available. A lot of time and energy went into it and it shows. 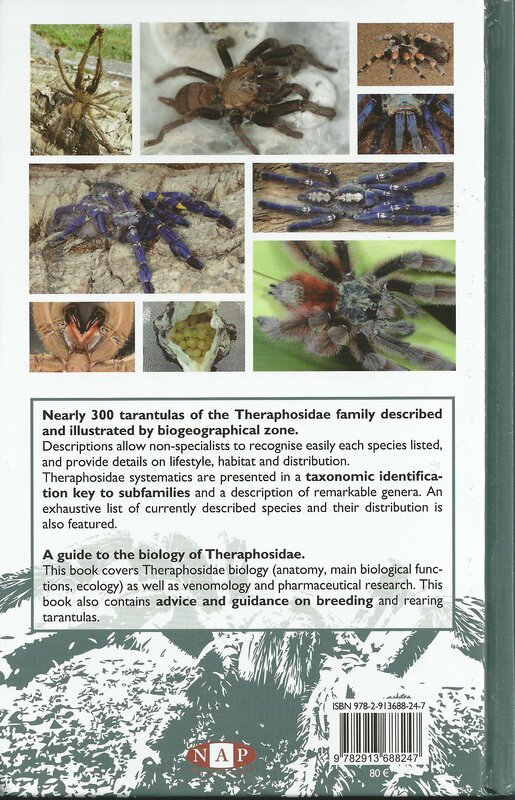 I truly hope that down the line an updated and corrected version will be available, perhaps covering even more species. A larger size would be nice too, showcasing the beautiful pictures even more. In the mean time, you will not be disappointed by this edition! 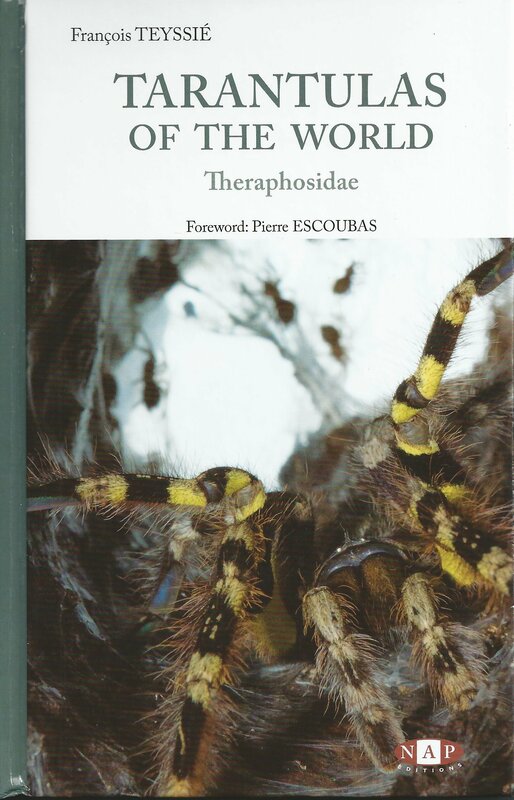 This entry was posted in Tarantulas and tagged Eric Ythier, Francois Teyssie, NAP Edition, Roland Stockmann, Scorpions of the World, Stanley A. Schultz, Tarantula Keepers Guide, Tarantulas of the World. Bookmark the permalink.